While this was a simple cake for a smaller wedding, I absolutely loved the way it was decorated. 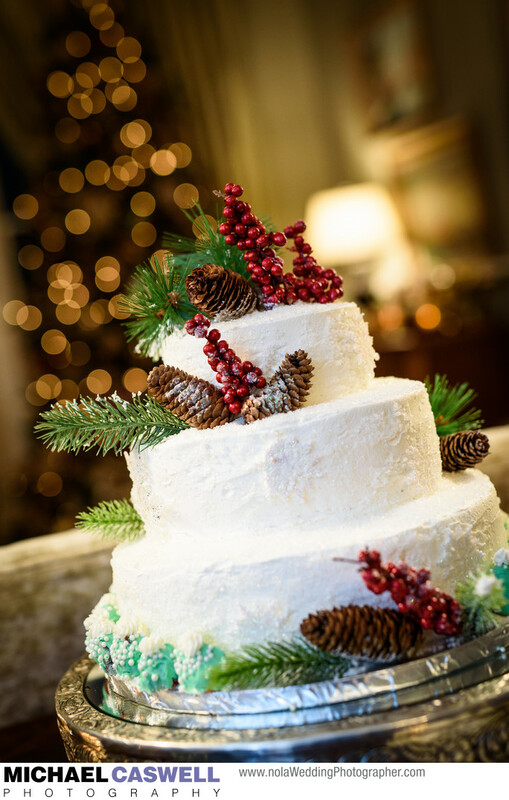 Being a December wedding, the cake was adorned with a variety of natural looking elements that you would associate with Christmas, such as holly berries, pine cones (with a touch of "snow" on them), and some greenery. This wedding took place at Terrell House Bed and Breakfast on Magazine Street, which should be at the very top of your list if you are considering an intimate wedding in New Orleans, especially if the quieter atmosphere of the Garden District appeals to you more than the French Quarter.